If you’re not intentional about it, travel can wreak havoc on your health + wellness! The habits you’ve worked so hard to establish like sleeping patterns, workouts, and avoiding unhealthy temptations are easily upended on holiday getaways. 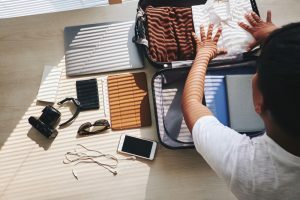 No matter where you’re headed over the holidays, there are a few items you can add to your suitcase to make staying on track much easier! Pack your bags with these five healthy holiday essentials so you can feel and look your best through every party + family reunion. 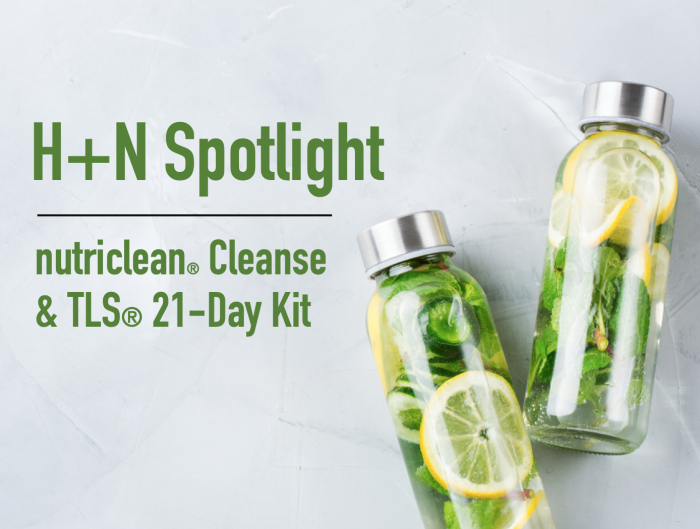 Since over 70% of your immune system is in your digestive tract, maintaining a healthy balance of bacteria is key for staying ahead of the curve. 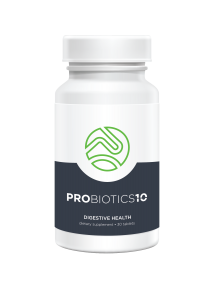 Probiotics 10 will help keep you + your digestive system healthy, and that’s pretty important when traveling to see family + friends! Whether you’re heading out on a red-eye or toting the family along for a road, start adding daily probiotics for the two weeks leading up to your trip. Sticking to your healthy eating plans can be difficult during the holiday season, but it’s especially hard when you’re on the road. One of the best ways to stay on track is to always make sure you have a delicious snack ready to go, and preferably one that provides the fiber, protein, and nutrients you need to feel satisfied! Your TLS® Whey Protein Packets are the healthy holiday essentials solution for the moment a snack-attack strikes. You can even check out the TLS® Facebook, Pinterest, Instagram, or Blog for other creative ways to whip up some delicious, on-the-go whey protein snacks! 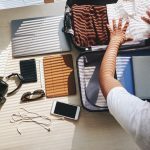 Remember those healthy habits that get upended during travel? 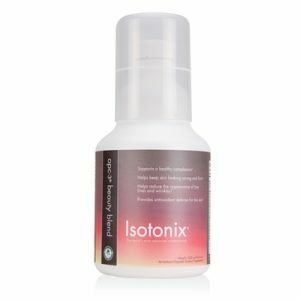 Daily vitamins are one of the first habits to hit the back burner during holiday travels! That’s why we love the convenience of the Isotonix® Daily Essentials Packets. Each includes our top-selling foundation products that provide nutrients to boost the immune system from OPC-3®, calcium, B vitamins, and even a multi-vitamin! Plus, the easy-open packets and great taste means you have one less thing to dread in your travel’s morning routine. If you feel like you’re constantly under the weather while traveling, some extra antioxidants can give you just the boost your body is searching for! 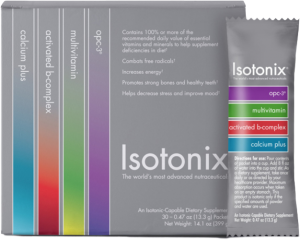 Isotonix® OPC-3® Beauty Blend is essential to your healthy holiday essentials list with its isotonic delivery system supplying you with the essential vitamins and minerals for glowing skin and improved antioxidant defenses. This customer favorite helps maintain skin health at the cellular level by nourishing and rejuvenating skin cells with some of the finest antioxidants available today including grape seed extract, red wine extract, bilberry extract, citrus bioflavonoids, and Pycnogenol®! 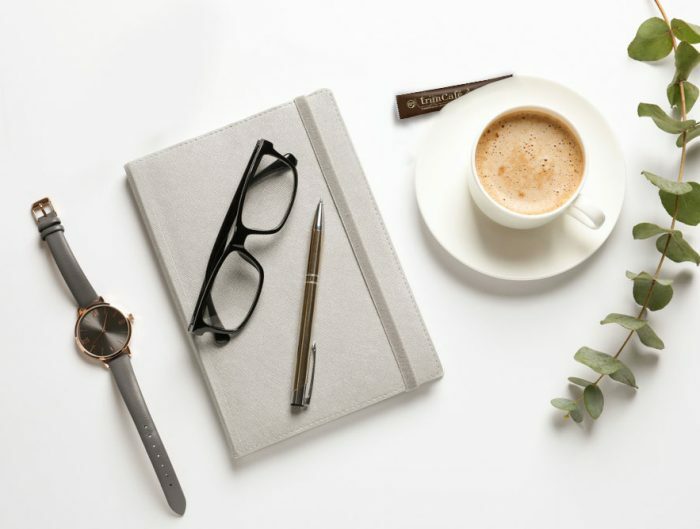 If caffeine is on your morning must-haves list, why not add a little thermogenic boost? Managing cravings on the go with healthy snacks, hydration, and a good night’s sleep is always the #1 way to go, but how often do all of those pieces fall into place on the road? 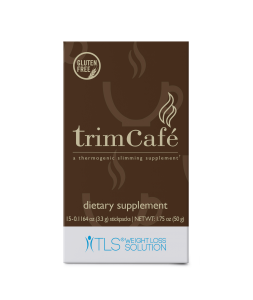 Rather than hoping you can hold back, get rid of the cravings while enjoying the delicious flavor of TLS® Trim Cafe! Which healthy holiday essentials made your packing list?